The Scarlet Key Society recognizes and celebrates excellence in student leadership by handing out the prestigious Scarlet Key award. The deadline to send in applications for the 2015 Award is Friday, Feb. 20, at 5 p.m.
For over 85 years the mission of the Scarlet Key Society has been to promote student leadership at McGill. We believe that if academics are the heart of the student experience, then extra-curriculars are the soul. To recognize and celebrate excellence in leadership we give out the prestigious Scarlet Key award. 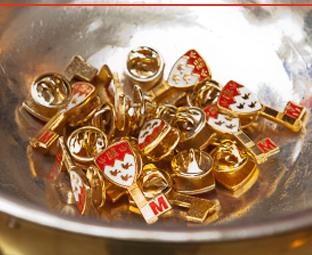 The Scarlet Key Honour Society accepts applications from potential candidates, or nominations by others within the McGill community who believe that an individual is deserving of the award. The deadline to send in applications for the 2015 Award to scarletkey.alumni@mcgill.ca is Friday, Feb. 20, at 5 p.m. Get more information here.